by MERKS: Day 275, outfit 275. Today, I'm wearing casual chic. A gray jacket, combined with a basic white shirt and a skinny jeans. 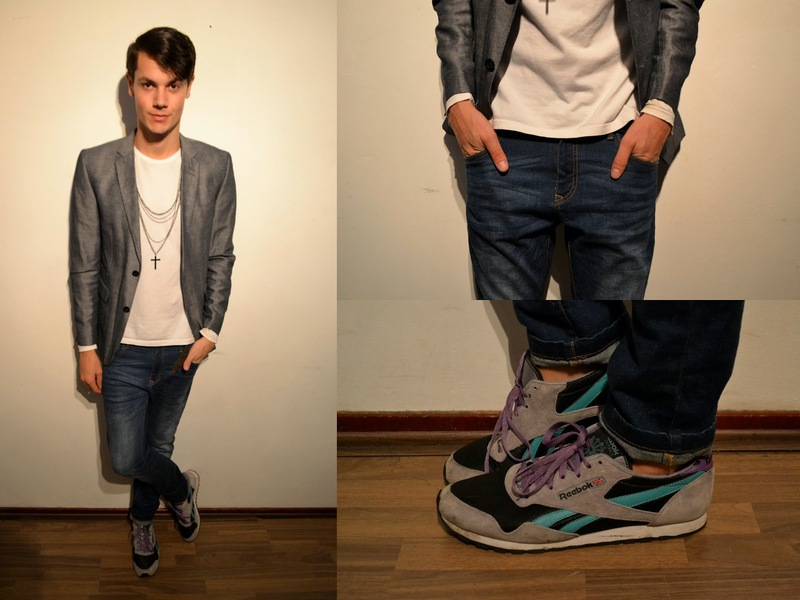 The shoes are my Reebok runners and don't forget to check the vintage necklace.